Here is the mail sent by a guard who organised courses of Sahaja Yoga meditation in his jail. This after having experimented the efficiency of this method on himself. After reading the story of Temba who got his realization in prison in New York, the desire arose to spread Sahaja Yoga at my work in a prison from the Netherlands. The unit-department that I work at consists of 12 prisoners. Having this desire of giving realization to the boys but not knowing how or where to start, I just waited for an opportunity. Two days later, in the first week of June 2003, I was giving Sahaja Yoga leaflets to two boys: Andre and Nico. They both experimented their realization. The following day, there was already a big change in them. • Andre who could never sleep and always took medicine several times at night had now fallen asleep and did not once ask for medicine. Not even the wake-up call could awake him and the guards had to shake his bed in the morning. And yes he felt vibrations. He started having dreams and even stopped smoking within one month. These positive changes of Andre made the other boys curious, but as you know prisoners are mostly tough guys who think that they have a reputation to keep up, so they pretended not to be interested. However, one Saturday evening while I was having a little chat with the boys suddenly they changed the subject from football into Yoga, Meditation and Spirituality. But still they were very careful in choosing their words. After this chat as I was about to put the boys into their cells, Gregory whispered in a very discrete way: "Ward, can I have one of those things?" meaning a leaflet. In the third week of July 2003, on a sunny Sunday morning, the boys asked me if we could do a special outdoor-activity like football or just taking more fresh air. "Yes" I said, "Today we will do something special in the yard : Yoga & Meditation". For a minute there was a complete silence since none of these tough guys had expected such a proposal. Then Andre, Gregrory and Hank agreed and within a few more minutes Jay, Pete and Ron also joined in. While sitting in the yard, Jay said: "Ward, it's a bit scary, but I will still stay". 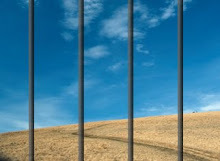 So, on July 20th 2003, right there in the yard of the jail, realization was given to 6 people. They all felt the vibrations and at night when going to sleep they thanked me. In the following days the realized souls asked me: "So, now we have come to Yoga, but how to go on? What should we do now? How to meditate? Can you show us how to meditate?". Hank had even gone to the library in search for Yoga lecture. But I told him that he didn't need those books and gave him a stencil "Sahaja Yoga Week 1" in which the self realization exercise is described. As it was lunch time Hank took the stencil to the lunchroom and after lunch said: "Ward, I have already read the whole stencil, now I know how to do the 9 steps myself" meaning the Self realization exercise. Then they asked me to collectively do the Self realization exercise again since they enjoyed it so much. The joy of the realized inmates drew Achmed's attention and in that same week he said: "Ward, every time you come here I feel something and it makes me so peaceful inside". Obviously Achmed's Kundalini was ready to be awakened and no wonder that he joined the next collective meeting. Achmed got his realization very easily. After the meditation he got his own leaflet and while walking to his cell, he kept on staring at Shri Mataji's picture. After almost one hour Achmed ran out of his cell with his eyes wide opened, saying: "Shri Mataji laughed at me, telling me she knows what crime I committed. She even knows how I committed the crime, but she smiled at me ". After that we got collective meetings every week. The director gave permission to use the silence room, sometimes we might use the video room and as long as the sun keeps shining we may also meditate in the yard. Some of the boys take foot soaks every night and hopefully the others will follow. They enjoy the video "Experiments with truth" so much, especially Part 3 with the exercise of the self realization. In fact, on their request, we have done this exercise three times collectively. One day prisoners from other departments saw us sitting in the yard and asked my colleagues what we were doing. My colleagues responded: "They are meditating and if you are interested we will see if we can arrange something for you". Some colleagues suggested that it would be nice to have Sahaja Yoga spred in their units as well and they asked their unit directors for permission. 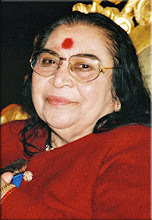 It became possible to spread Sahaja Yoga not only to the boys but to the colleagues as well.